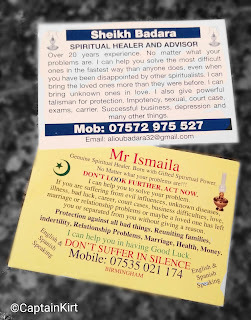 Never seen this before but there seems to be a few spiritual gurus knocking about. 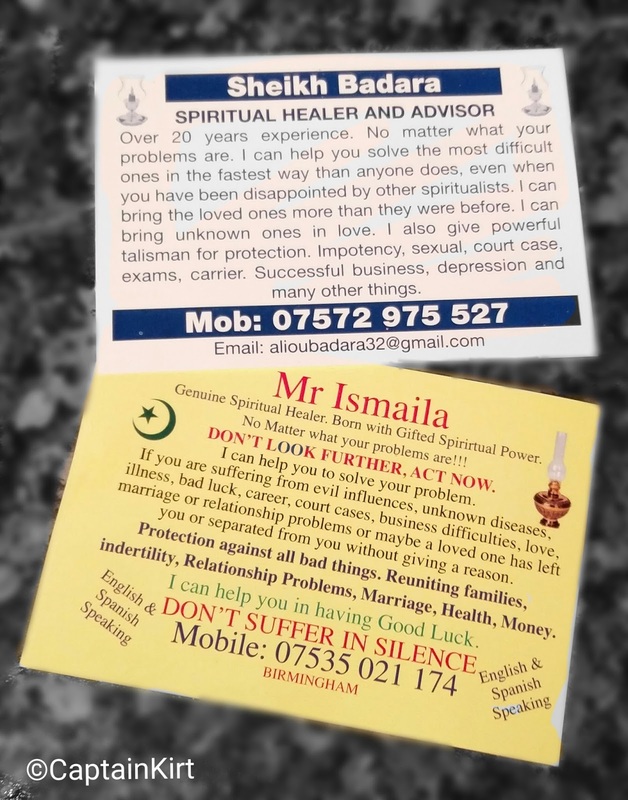 One of these cards was pushed through my door the other was slipped under my windscreen wiper on my car. At first I found them odd, then I found them amusing.